Comfort food. Salty. Sweet. Fatty. Comfort food. Heat a medium frying pan on medium heat. 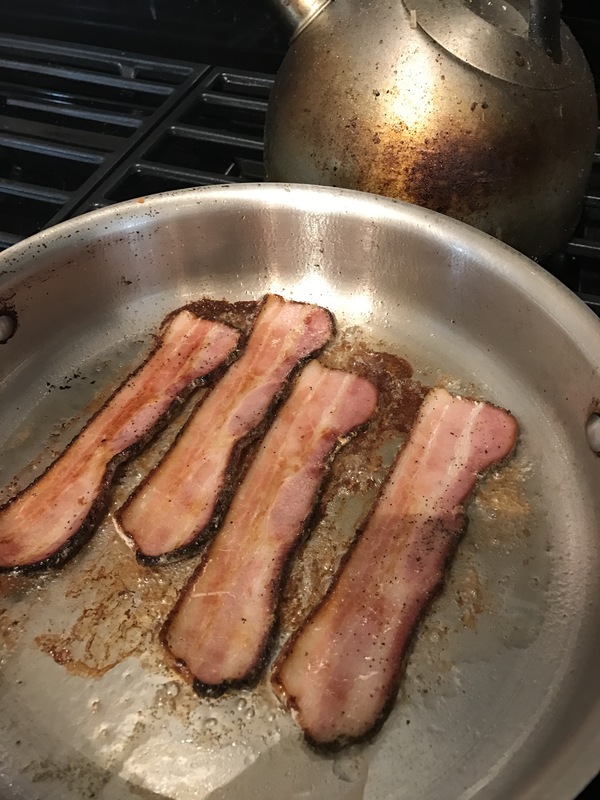 Cook bacon crisp. Remove from pan. Don’t drain bacon grease. Add the onion to the pan and cook until onion starts to caramelize. Then add the apple and let cook until it starts to brown. Add garlic and stir for 30 seconds. Add cabbage and stir to combine. Squeeze lemon juice from half a lemon into the pan. Stir and scrape any browned bits from the bottom of the pan. 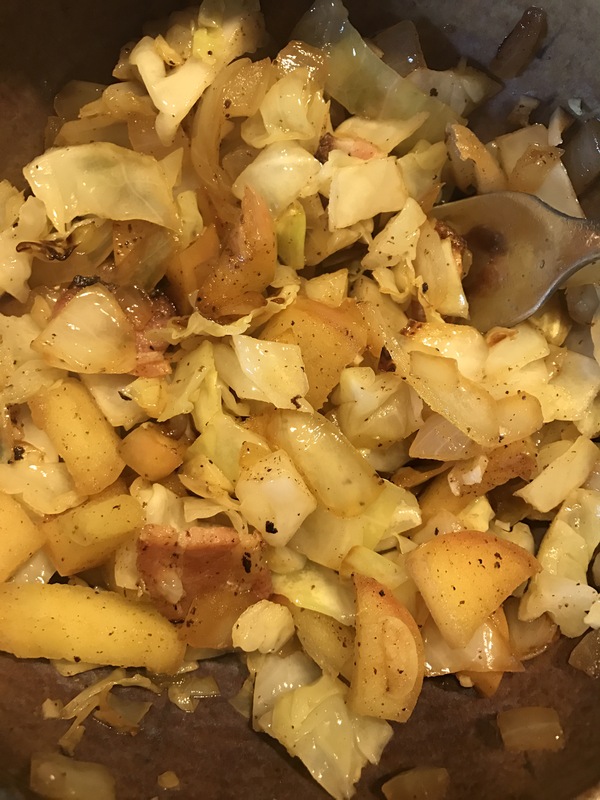 Cover and cook for about 3 minutes– until the cabbage is wilted. This dish is easy, fast, salty and sweet. 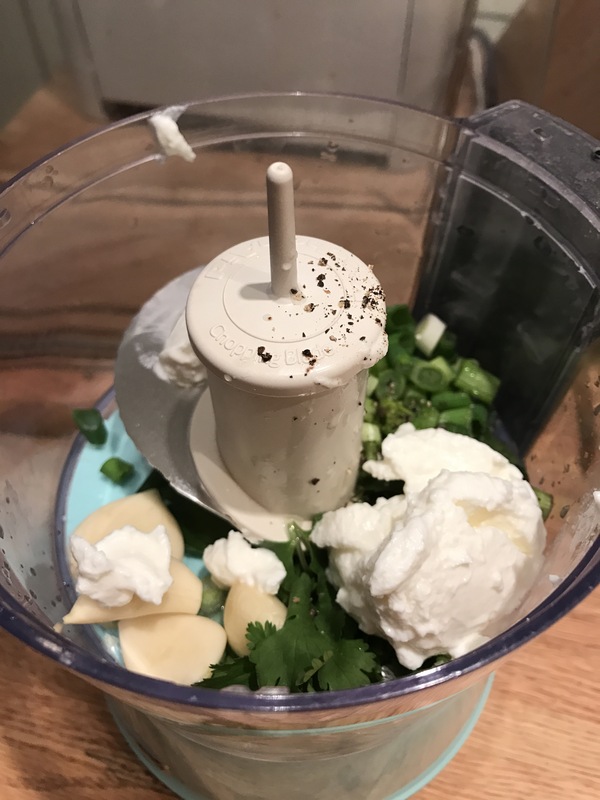 Combine all of the ingredients in a small food processor and puree. Set aside. Preheat oven to 425 degrees. Stir beets together with oil, salt and pepper. Place in a baking sheet and roast for 25-30 minutes. While the beets roast stir the beet greens with a little bit of olive oil, salt and pepper. Cook in a medium frying pan on medium heat. Add a squeeze of lemon and cover until greens are wilted. Place in a large bowl and cover. Heat a frying pan over medium heat. 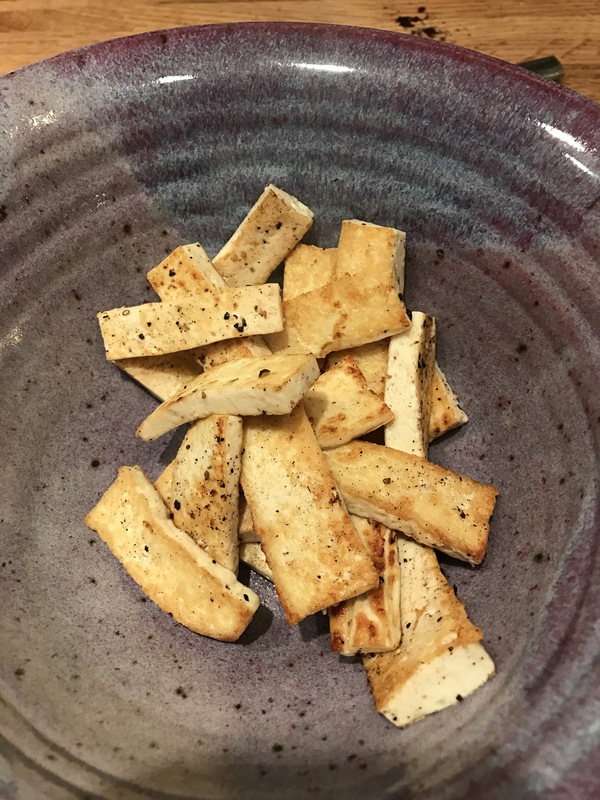 Place the tofu in the pan and sprinkle with salt and pepper. Let the tofu brown, then turn and allow to brown on the other side. 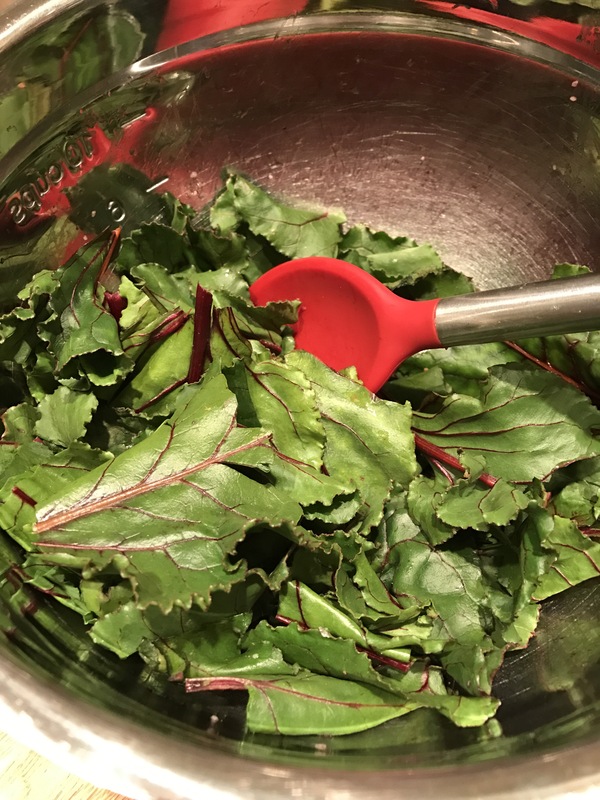 When browned on both sides, add to the bowl with the beet greens. 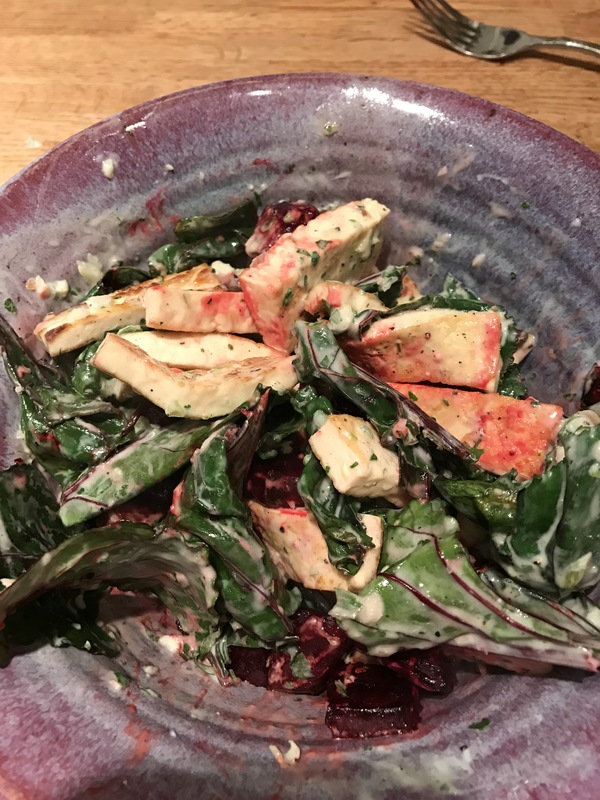 When the beets are tender, add them to the tofu and beet greens and stir together with the yogurt sauce. This recipe makes enough for 2 mildly hungry people or 1 really hungry person. The result is earthy and garlicky and bright.